I haven’t sewed a stitch of this child’s Halloween costume yet, but I have started a Halloween quilt. 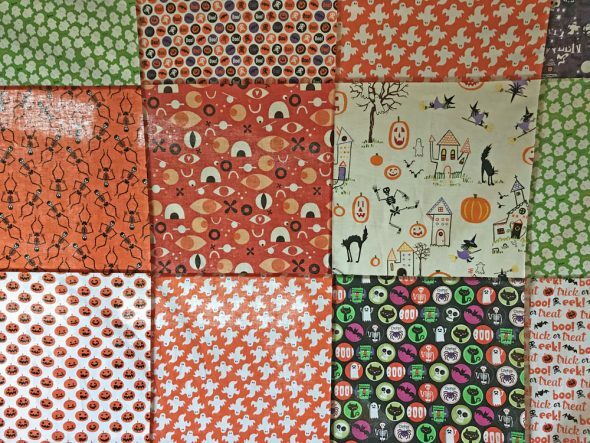 Because I’d bought all these prints that make me happy, and have been stockpiling others for years, and it’s been a while since I made a Halloween quilt. I feel totally unprepared for Halloween this year, and it’s October 14th. It’s busy season at work, which I will now know going forward. Holiday gift guide time, and it’s been nonstop. But looking back at my Halloween posts over the years, I am never prepared for Halloween before the middle of the month. I feel like I need a planning chart for next year so I’m ready October 1. But, at least I’m working on something. These are all random prints from Jo-Ann, plus various quilt shop prints I’ve amassed over the years. 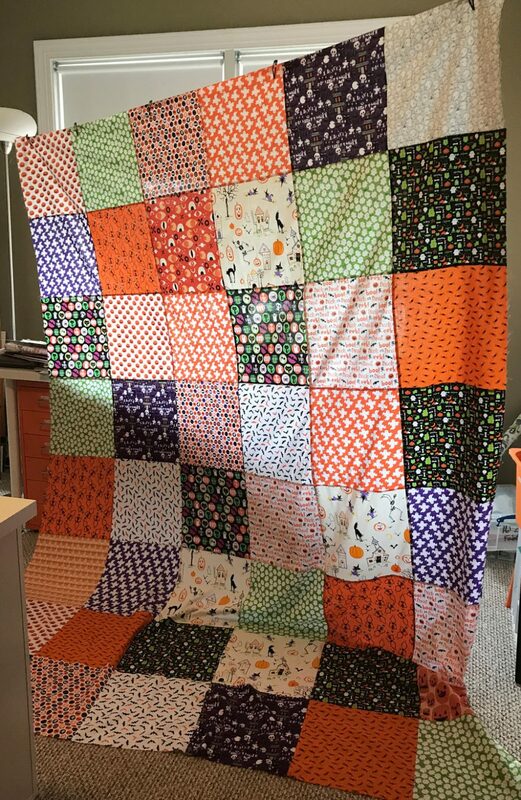 I used almost everything I had in this quilt. I’m not sure if it’s going to go on H’s bed when it’s done, or if it will live on the couch downstairs. That probably depends on whether or not she claims it. So I’ll finish it up, maybe this weekend, then start to bang out her Belle costume (yep, I’ve got just over 2 weeks to make a full child’s ball gown, sheesh). And then I’ll probably be diving straight into Christmas stuff. T’is the season!